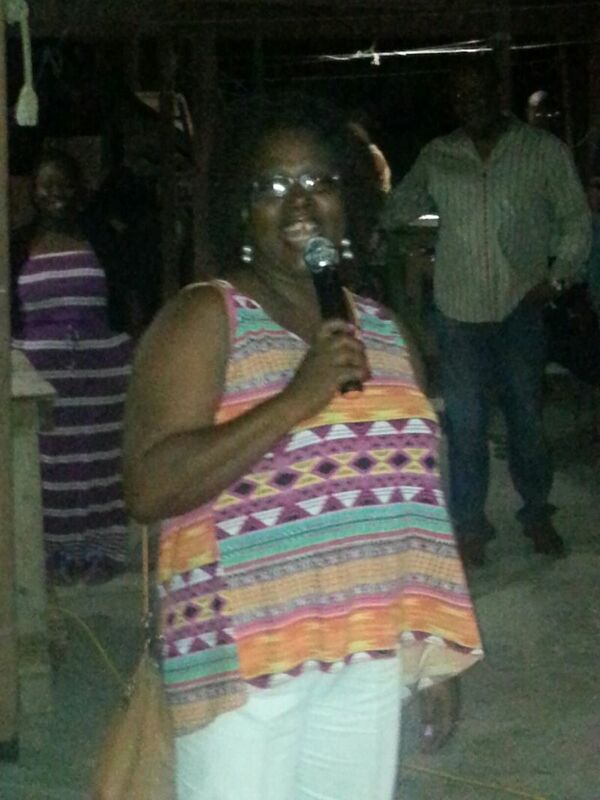 CANE GARDEN BAY, Tortola, VI – Newly elected Second District Representative Melvin ‘Mitch’ Turnbull thanked everyone who voted for him in the 2015 general elections, saying that they wanted change and that he is committed to serving the needs of all the people in the district whether or not they voted for him. 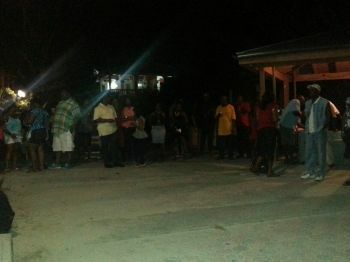 Turnbull held a victory celebration yesterday June 13, 2015 at the Cane Garden Bay Park where he sought to show appreciation to his supporters. “To the people of the Second District, Cane Garden Bay and Brewer’s Bay and Jost van Dyke…We won at every single community within the district, that is something that has never been done before,” he said. The political newcomer also thanked the team that worked behind him which made the change possible. He said that it was a team of rookies who knew nothing of politics but who were eager for change. Turnbull emerged victorious in the district after garnering 600 votes and beating out Elford W. Parsons of the People’s Empowerment Party (PEP) and Rajah A. Smith of the Virgin Islands Party (VIP). “We have a lot of work to do Second District and we are going to do the work together. It is not about me. It has never been about me. It is about the entire community,” he said. 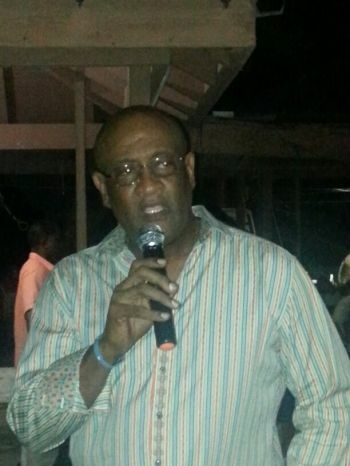 Turnbull succeeds J. Alvin Christopher of the People's Empowerment Party (PEP) who opted to run At Large instead of in the Second District. what happened to the holliday ,the next day after election skelton promise.? He must have been shamed by what the observers said they saw, if they have shame? Cheaters never truly wins you know! They bought their own first place ribbons, Who does that??? True Losers! These NDP Candidates should have a large Photo of Frazer hanging on their wall that says--"THANK YOU"
@ jack be still: it is evident that supporters of the VIP voted against them in the 2015 elections: the Virgin Islands Party was soundly beaten in their respective districts also soundly beaten at large: the only strong hold the Virgin Islands Party have in this entire territory is the first & third districts...not even VIP supporters wanted them in office(just look at the results).. after all of that chat during their rallies and only came home with 2 seats clearly say the people of our community had no interest in a Virgin Islands Party administration (2 out of 13 is a failing grade in any subject much less for a party that have been around for over 30 years)....come back 2019 soon come!!!!! 2019? If UK don,t request a bi-election after receiving evidence of this bought 2015 election? You must be a very bad fortune teller...who said that I was a VIP supporter? No one likes a cheat! We need to take this to the international press. Let's see how the governor will handle it then. The observer saw the greed and electorial corruption in this place. There is no disputing that! Greed won this election! Disgraceful! wize up how I agree with your comment. The people spoke at this election and it was that they did not want VIP or Julian Fraser as their Premier. The results at the polls were overwhelming and even in District Three where Fraser won his seat, it was a mere win. Of all the Districts races, District 3 was the closet run. And VIP should stop talking about NDP 'thief' election for in the Third there is apparently lots of evidence of wrong doing. ...and as these bloggers but it the NDP thief it fair and square, 'and with the Lord's Help'. When God done with them!! ...and the minister did not go to pray, but to pay, dem say! Revive music Fest--exactly where it started--no prejudice, no bias. Exactly where it started, same set up,. then you are the man. 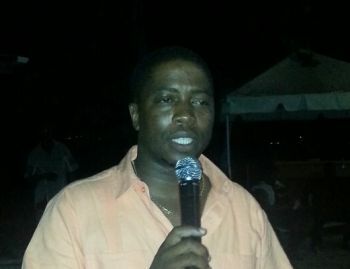 If you get Bruno Mars, Lionel Richie, Beres and Buju fresh out of jail your first time around--you will be BVI Prince. We would love you more. I wonder why he calling on Mitch to get BuJu fresh out of jail for the Music Fest? He fitting right in on all of this worldly mess. I guess he can buy his freedom. Just starting out and people already seeing his ways. where is the phtos minsiter? Victory Celebration? I'm in the second district and wasn't aware there would be one. Anyway, congratulations to Mr Turnbull. IT IS SO DISGUSTING EVERY TIME ANYONE OF THE NDP GOVERNMENT SAY OR DO ANYTHING POSITIVE SOMEONE WITH HIS OR HER NEGATIVE BLOG ABOUT NDP THIEF ELECTION PEOPLE VOTED FOR PROGRESS AND CANDIDATES OF THEIR CHOICE. GOD BLESS YOU HON. TURNBULL. Because he won disgracefully! God don't bless evil deeds! WHOEVER YOU ARE YOU NEED JESUS. You will know them by their fruits. He bought he blessings! Shameful! I guess the UK Observers need Jesus too, All the God fearing Christians in the community who knows this young man bought his votes through contracts and money need Jesus? Up is down, wrong is right. I guess we in a twilight Zone!! Then the observers need Jesus too, all the God abiding citizens in the community who did not sell their votes need Jesus? Up is Down, Right is Wrong. We must be living in the Twilight Zone this election. Turn up the district with action like the action man and the people can't get you out again. Young and fresh blood you will bring new vision. Hold on to God my brother and stand for what is right even against the odds in the party.